This App is the iOS version of the Citrix' excellent meeting system. People can have meetings where and when they want, regardless of geographical location. Here you have the option to either meet now or schedule a meeting. The latter will bring up a new window where you enter the meeting subject, choose whether or not it is a recurring meeting, enter a start and end time, set the audio to Phone and/or VOIP, and optionally set a password for the meeting. Having set these parameters, you then simply send your invitations, via calendar, email, or message. The App automatically generates the message, complete with all the content your attendees will need. The Access Code is also generated so there is additional security to stop eavesdroppers. All you need do is choose the circulation list. This is where you have received a meeting ID and wish to join a meeting. Apart from setting your personal information you can also set muting on starting and/or joining, and automatic log-in. It really is extremely straightforward. The App is free but, in order to be able to host meetings, you need a service agreement. There is a very useful, and totally free, 30 day trial for you to test it out. Thereafter you need to pay to access the service, as an organiser; 'mere' attendees are free. The organiser of business meetings pays $39 per month. Be aware that in order to obtain the 30 day trial you will need to submit payment information... unless you show a bit of patience. There is also a free 'lite' version for non-commercial use. This depends on how much time and money you spend on meetings but, the charges involved would be very quickly recovered. No problems. In order to run GoToMeeting on your iOS device you will need an iPad, iPhone 3GS or newer, iPod touch (3rd generation) or newer running iOS 5 or newer. Citrix Systems Inc. is a $2.5 Billion company... so it is no back street operation. All your meetings feature SSL (Secure Socket Layer) and 128-bit AES (Advanced Encryption Standard) security, so your meetings should remain private. In addition, Citrix confirm that no unencrypted data is ever stored on their systems. Many large companies use Citrix Solutions... Apple for one host webinars using this system. I guess that what I'm attempting to say is that all these enterprises with huge IT departments can't be wrong. Conclusion: GoToMeeting is secure. Simple to set-up and use, as well as reliable. You can get GoToMeeting here and support for the App here. The developer advises that there has been an update to version 5.5.0.128 of the App. • Join upcoming meetings from your iOS calendar with a single tap. • See all upcoming meetings in a single view from the GoToMeeting app. The developer advises that there has been an update to version 5.5.0.142 of the App. • GoToMeeting can now be used in German. 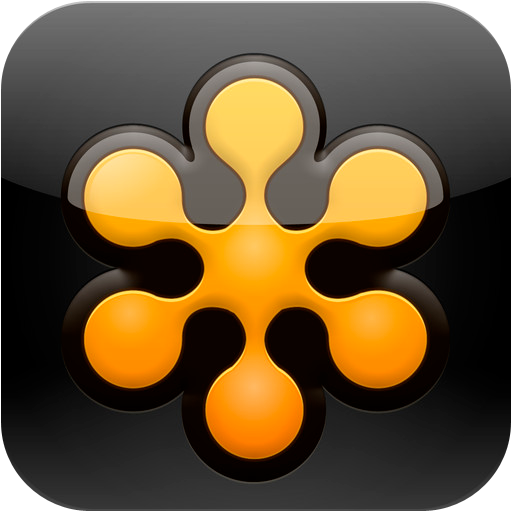 NOTE: This will be the last update to GoToMeeting that supports iOS 5. If you continue to run iOS 5, be advised that you should update to this release in order to get the newest features and bug fixes. The developer advises that there has been an update to version 6.0.0.216 of the App. In addition to hosted solutions from GotoMeeting, you may want to consider a RHUB web conference server.